What Did China Really Think of the Xi-Modi Meeting? 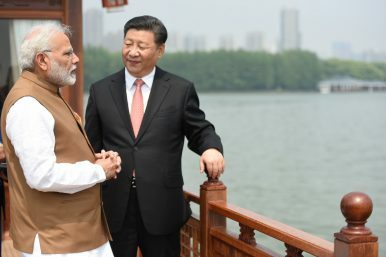 Many have written on the recent meeting in Wuhan between Chinese President Xi Jinping and Indian President Narendra Modi. However, these articles tend to focus on either the agenda for the meeting, what it did or didn’t achieve, or what to make of it in terms of geostrategic gains or losses. Few, if any, articles have looked at China’s perspective on the meeting. This is an important oversight as how the visit was described in the Chinese media reveals a great deal about how China sees its relationship with India. Why we now need to act fast on the policy front to ensure that most of the gains of current and future entrepreneurship remain with India. The $16 billion Walmart purchase of 77 per cent of Flipkart, India’s No 1 e-tailing marketplace, marks a turning point in the evolution of Indian entrepreneurship. It is now obvious that great ideas will ultimately get taken over by Big Money from outside India. Even if there are laws to enable Indian entrepreneurs to retain higher voting rights after equity dilutions in the companies they founded, the trend is irreversible. India’s relations with China were contentious in 2017 and often seemed to push the country toward greater cooperation with the United States and its regional partners. Among other developments, India has shown interest in renewing formal quadrilateral cooperation with Australia, Japan, and the United States, a multilateral partnership that has provoked strong Chinese opposition in the past. This push toward forging closer strategic ties, particularly with the United States, in order to address regional challenges is the most recent manifestation of the long-term tension in Indian foreign policy between retaining strategic autonomy and building cooperation and strategic partnerships. In this Q&A, Jeff Smith (Heritage Foundation) discusses Indian foreign policy in light of the tumultuous past year and comments on how New Delhi might strike a balance between autonomy and cooperation in the current strategic environment. Disaster struck the first of a new class of Indian frigates in late April 2018 when a towering, 250-ton crane came toppling down onto the vessel during heavy winds as she sat in dry dock. The vessel — which is under construction — was not damaged, according to the Indian Ministry of Defense. The images of the disaster look bad, though. The crane is destroyed and there is an indeterminate amount of damage to nearby buildings, but the Indian Navy alleged a conspiracy to exaggerate the damage in the press. “Somebody may have taken this opportunity to tarnish our image,” one official quoted in the Times of India said. The open source is abuzz with the news that India and Russia are close to finalising the deal for the purchase of S-400 System despite the threat of US sanctions1. Making it a central issue during the visit of Defence Minister, Mrs Nirmala Sitharaman to Russia from 3-5 Apr 18 for participating in the VII Moscow Conference on International Security, it was stated in the press, that the deal will get its finality besides likely progress on several other issues related to military technical cooperation, such as Kamov helicopter deal, fifth generation fighter aircraft, ammunition for Russian made defence systems, maintenance and up-gradation issues related to existing Russian inventory and more2,3. WASHINGTON: Yes, Afghan forces are shrinking even as violence grows, but that smaller force is better trained, better advised, and better at taking the offensive against the Taliban, the Secretary of Defense and Chairman of the Joint Chiefs told the Senate. The ongoing increase in US and other NATO advisors is crucial to this turnaround, Sec. Jim Mattis and Gen. Joseph Dunford argued to skeptical Democratic senators this morning. Nearly two decades into America’s War on Terror, policymakers remain perplexed about how to navigate the United States’ relationship with Pakistan, an ostensible ally that has long been accused of offering tepid support or creating outright impediments to American counterterrorism operations. While America’s relations with Pakistan were weakened by the Trump administration’s January decision to withhold over one billion dollars in security assistance from the Islamic Republic, Pakistan’s relations with neighboring China have been greatly strengthened by China’s promise of $57 billion in economic investment through its One Belt One Road Initiative. U.S. policymakers should be concerned by America’s rocky relationship with Pakistan, as well as Pakistan’s deepening economic and security ties with China. A Pakistan that is squarely in China’s orbit could contribute to a dramatic rise in security competition and an increased risk of great power conflict in South Asia. It is in America’s best interest to repair its relationship with Pakistan to prevent such a scenario from coming to pass. AMMAN, Jordan — At a military airfield on the outskirts of the Jordanian capital, three American businessmen stood admiring the star exhibit, which looked eerily familiar: a large drone, armed with weapons under its wings, with a domed front. “They brought the Predator here,” said one, in reference to the ubiquitous U.S. drone used in wars from Bosnia to Iraq. Chinese companies are proving that America is not first in the UAV export market. Can Trump roll that back? “That is not a Predator,” another countered. Satellite imagery from April 28 reveals the first image of a military aircraft, a Shaanxi Y-8, deployed to China’s base at Subi Reef in the Spratly Islands. This follows Chinese media reports from March 2018 that a Y-8 had landed on the reef to evacuate a fisherman who required medical assistance. The Y-8 was designed as a military transport aircraft, but some variants are used for maritime patrol or signals intelligence. This should be particularly concerning to the Philippines, which has about 100 civilians and a small military garrison on Thitu Island just 12 nautical miles away. China identified more than a decade ago that transforming its air force’s capability in the area of air-to-air missiles was an important part of its military modernization. Efforts since then appear to have paid off, with experts forming a consensus that China’s air power is already capable of challenging that of the US in certain scenarios, in part thanks to indigenious missiles. Chief airpower specialist at the International Institute for Strategic Studies, Douglas Barrie, noted recently that some of the new weapons being introduced on Chinese aircraft are equal to Western equivalents. In the case of one missile, it has surpassed any other country’s capabilities. China’s military aims to give its ground forces some extra traction in increasingly challenging battlefield scenarios by testing unmanned tanks that could potentially be equipped with artificial intelligence-based systems. Aging four-man T-59 tanks, thousands of which are being retired and scrapped after years of service, have been fitted with remote-control technology that is operated by a soldier at a nearby console equipped with a video game-style steering wheel. 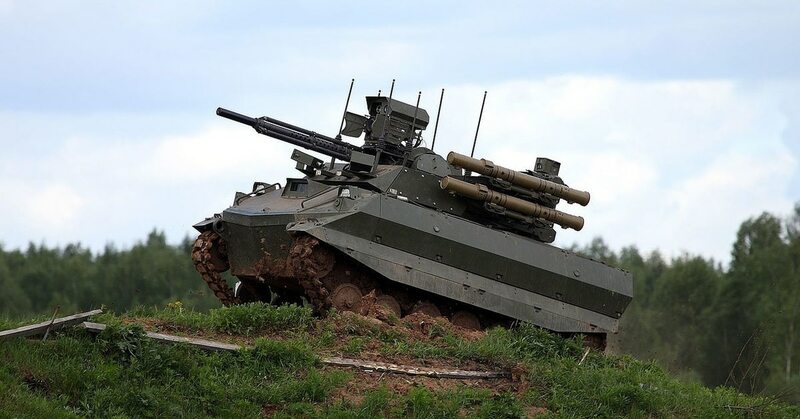 “A large number of due-to-retire Type 59 tanks can be converted into unmanned vehicles if equipped with artificial intelligence,” Liu Qingshan, chief editor of Tank and Armored Vehicle, told The Global Times newspaper. Lines of vehicles ready for a combat logistics patrol alongside American forces and Afghan National Army on Operation Herrick 11, which carried essential supplies from Camp Bastion to Helmand Province, Afghanistan, in a 100-vehicle convoy. The U.S. Government Accountability Office is expected to rule soon on a disputed contract worth more than a billion dollars to supply food to American forces in the Middle East. The big-dollar decision will mark the most recent twist in a battle over giant U.S. military logistics deals dating back nearly a decade, and includes allegations of sanctions busting, corruption, and fraud. The ruling could also prove troublesome for the Defense Department, which for years has faced criticism over its contracts with Gulf-owned logistics companies the military has used to feed deployed troops. Can International Organizations Help Prevent Civil Wars? At the recent Kuwait International Conference on Reconstruction of Iraq, countries and international organizations pledged US$30 billion to reconstruct Iraq after years of war, falling well short of the US$80 billion estimated necessary by the Iraqi government. As this case aptly demonstrates, civil wars create lasting damage that can take decades to overcome. 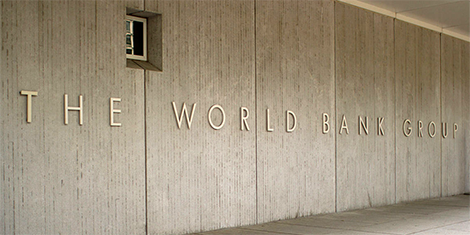 Despite such huge costs, the international community struggles to find effective ways to prevent conflict escalation, relegating their involvement to the post-conflict reconstruction phase. But might there be ways to address conflicts before they erupt into all out war? 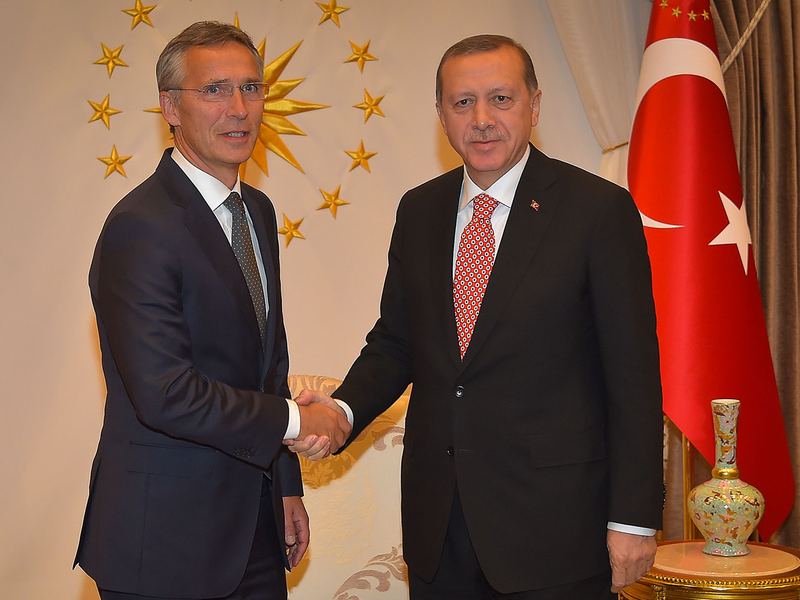 In this article, Aaron Stein uses survey data to reveal the views of Turkish citizens towards NATO, Turkey’s EU accession process and European allies. In general, he finds that the Turkish public is suspicious of Europe and unfavorable towards the Alliance. This is clearly concerning for the West, suggests Stein, particularly given how Turkish politicians have used foreign policy as a tool for populist political gain. As a result, he also explores what these findings suggest about the future direction of Turkey’s foreign policy and US-Turkey relations. 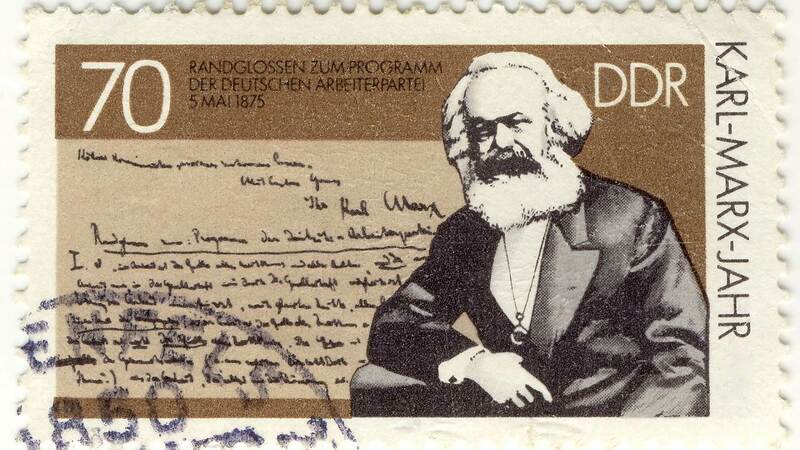 On the occasion of Karl Marx's 200th birthday, the co-founder of communism has received a more than a few positive reappraisals, even from Western leaders. But those arguing that Marx cannot be blamed for the atrocities that his ideas inspired should reexamine his ideas. STOCKHOLM – The bicentennial of Karl Marx’s birth has occasioned a surge of interest in the man’s work, complete with the unveiling of a statue in his hometown of Trier, Germany. Hamas, which rules the Gaza strip, has traditionally been less competent than Hezbollah at Fourth Generation war. Its rocket attacks on Israel, although they have frightened Israelis, have done little physical damage while they have created a moral equivalence between Hamas and Israel that hurts the former. Now, however, it is beginning to look as if Hamas has gotten smarter in a way that poses a real 4GW strategic threat to Israel. On successive Fridays, Hamas has sponsored demonstrations at the border fence between Gaza and Israel. On April 27, the demonstrators broke through the fence. Israel responded, as it has before, with live fire that killed several Gazans. Anytime that happens, Israel suffers a defeat at the moral level, which in 4GW is the decisive level. After months of speculation and a flurry of last-minute European diplomacy, Donald Trump has taken perhaps the most consequential decision of his unconventional presidency with the re-imposition of U.S. sanctions on Iran in a deliberately provocative breach of the 2015 nuclear agreement. By torpedoing U.S. adherence to the accord, Trump has all but guaranteed its collapse, a move that opens the door to the unfettered resumption of Iran’s nuclear program and unleashes unpredictable escalatory pressures in an already volatile Middle East. When I saw The Post, a movie about The Washington Post’s publication of the Pentagon Papers in the 1970s, I was struck by a particular line delivered quite early in the film. 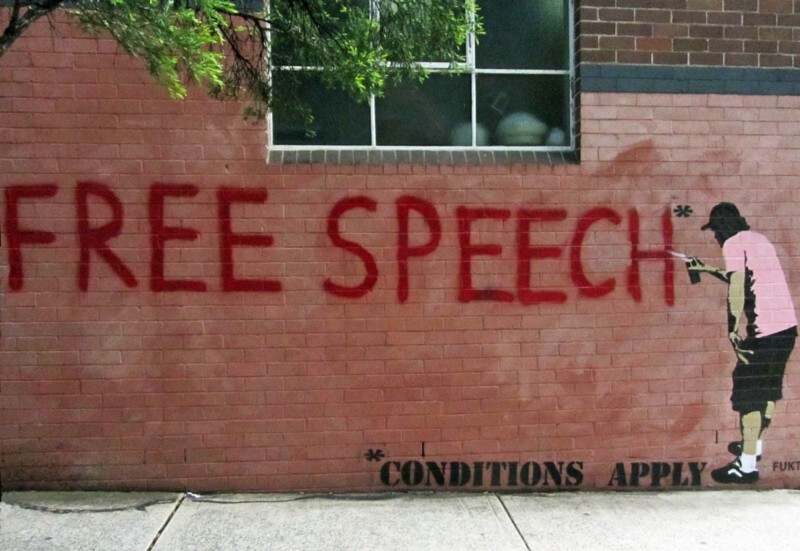 It is said by the then editor of the newspaper, Ben Bradlee, played by Tom Hanks: “The only way to assert the right to publish is to publish.” In many ways, this line epitomises the central theme of the movie: the overwhelming importance of the right to freedom of speech and expression in a liberal democracy. It helps that the line itself is short and evocative, to go along with the wittiness of its wordplay, the way the sentence doubles in on itself. The filmmakers also recognised this because Hanks uses the line more than once in the movie. 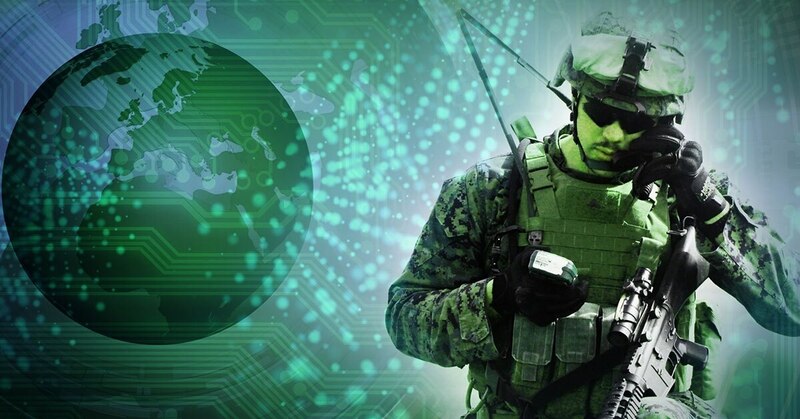 Like many in the technology sector, I’ve watched with great interest the contracting community’s maneuvering on the Pentagon’s upcoming Joint Enterprise Defense Infrastructure (JEDI) cloud computing contract, marked by vigorous jousting among competitors to gain ground in new markets or protect existing ones. But knowing both the technologies in question and the business strategies of the companies involved, I see this as part of a broader struggle between conflicting approaches to technology and to meeting future government computing needs. It’s a fight between those who have positioned themselves to provide cutting-edge, innovative solutions; and those who are invested in the lucrative business of maintaining legacy systems. When we need to search something, then Google or Bing will the first choice hit in mind suddenly. But Google and Bing will not give all the Hidden information which is served under the Dark web. Google has the ability to track your each and every move on the Internet while you are searching via Google .if you don’t want google to collect your personal information and your online activities you should maintain your Anonymity in online. “Deep web” Also known as “invisible web”, the term refers to a vast repository of underlying content, such as documents in online databases that general-purpose web crawlers cannot reach. The next few decades could yield new tools for criminals, new security threats, and new challenges to the world economic order—all built layer by layer by 3D printers. 3D printers already produce everything from prosthetic hands and engine parts to basketball shoes and fancy chocolates. But as with any technological advance, new possibilities come with new perils.​​​​​​​ A new RAND paper, Additive Manufacturing in 2040: Powerful Enabler, Disruptive Threat, explores how 3D printers will affect personal, national, and international security. The paper is part of RAND's Security 2040 initiative, which looks over the horizon to anticipate future threats. PENTAGON: When Army Futures Command stands up this summer, it won’t just be a new organization. It’ll embody a new way of organizing — and reorganizing, and reorganizing again. The goal, Army Secretary Mark Esper told me in an exclusive interview, is to keep adapting to new challenges in a way that, while alien to the federal government, is common to both frontline Army units and the private sector. A Marxist might call this “permanent revolution.” Esper’s agenda isn’t quite so radical, though: Call it “permanent evolution.” It’s about getting comfortable with change. That’s something Pentagon bureaucracies generally don’t handle well. Organizations created to drive change — the Office of Force Transformation under Art Cebrowksi, the Strategic Capabilities Office under Will Roper — can make an impact for a time but often wither when they lose their original, visionary leader, their high-level patron, or both. Organizations that endure often become as hidebound as the old order they replaced. So how can the Army ensure Futures Command succeeds?